Omaha, NE – The University of Nebraska at Omaha women’s soccer team played cross town team Creighton Sunday at Caniglia Field. It was a heavily contested game, even to overtime. KVNO takes a look at the battle between the Mavericks and Bluejays. Omaha, NE – The University of Nebraska at Omaha men’s and women’s soccer teams each have five exhibition games scheduled this spring. The big question now is how has turnover affected the teams and are they ready? Omaha, NE – Summit League leader, the University of Denver’s women’s soccer team brought a 12-1-1 record to the Metro for a match-up with the University of Nebraska at Omaha. The Pioneers showed the Mavericks what clean, crisp soccer looks like. 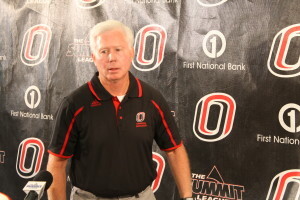 Omaha, NE – More than a victory in the win column was on the line for the Mavericks Friday night as the University of Nebraska at Omaha clashed with Creighton University. 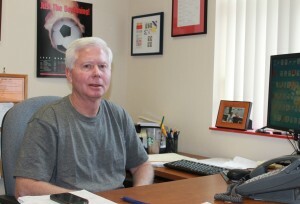 A stake in the claim as the city of Omaha’s best collegiate women’s’ soccer team was on the line. Omaha, NE – It was an odd game to say the least. The University of Nebraska at Omaha women’s soccer team ended Friday’s game with the University of Montana in a 3-3 tie after two overtimes. Senior Melanie McCormick made a splash scoring two goals including the goal which sent the Mavs to overtime.